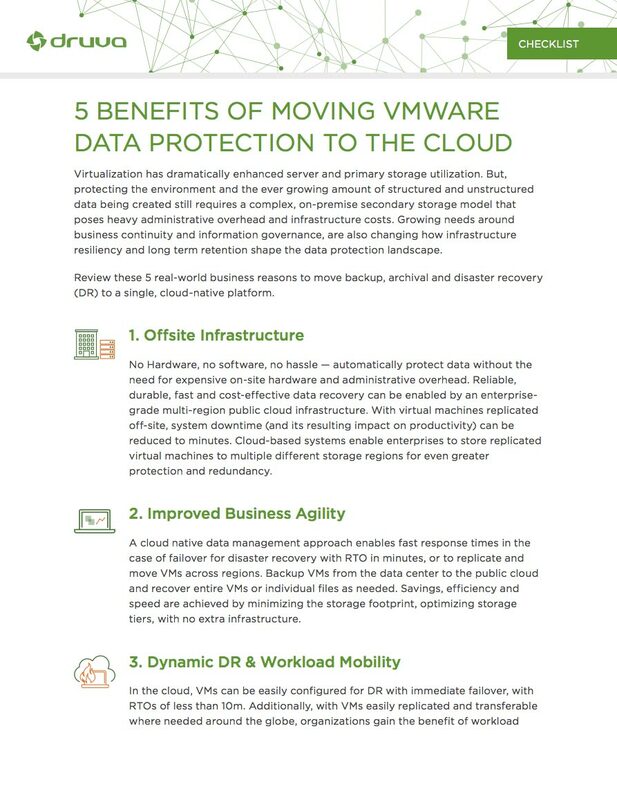 Discover the 5 benefits of moving VMware data protection to the cloud. These real-world practices detail the reasons to move backup, archival, and disaster recovery (DR) to a single, cloud-native platform. Access the VMware data protection checklist and discover the benefits of backing up your VMware environment to the cloud!